GMAT is an essential step in studying for an MBA abroad. For students, a high GPA score along with a strong GMAT score can help gain admission into the top premier B-Schools abroad. For working professionals who are in the mid-level management roles, the Executive MBA program is ideal. Why does the Executive MBA program matter for working professionals? If you are looking to get into the leadership roles and top management, or a big promotion is awaiting, then the Executive MBA program can offer the right mix of business disciplines like leadership, strategy, management, and communication skills to prepare you for future career success. Before you apply for the program, you need to take into consideration the following factors: your time commitment, financial constraints, readiness to unlearn, learn, and relearn. You can complete the Executive MBA program is less than two years while continuing to work full-time or part-time. You need to have your employer’s full support for completing your MBA education. Most organizations who are ready to invest in you for the long haul will even fund your executive MBA education. Even otherwise, you need to plan for financing your executive MBA program. With so many financial waivers, funding options and scholarships available, pursuing an Executive MBA from the world’s top B-Schools should not be an issue. 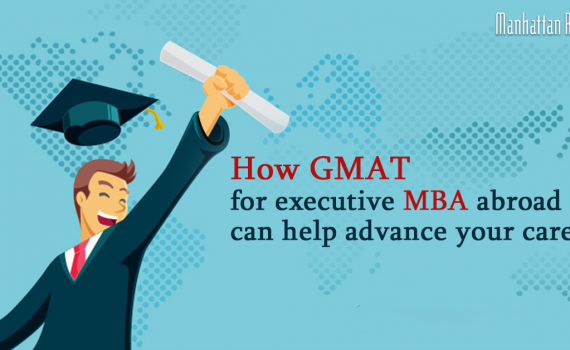 How important is the GMAT for Executive MBA abroad admissions? There is no substitute for your work experience. Your work experience is still the primary criteria for admission to the Executive MBA program. Apart from strong work experience, most leading B-Schools abroad like The University of Chicago Booth School of Business and the Columbia Business School take into consideration the GMAT score. The GMAT score is an indicator of your potential academic success in the Executive MBA program. Your GMAT score is evidence to the admissions committee that you are prepared and can handle the rigorous academic work in the Executive MBA program. If you are already successful in your career and looking to scale up the corporate ladder to senior management, you should seriously consider the Executive MBA abroad. While most of the leading B-schools abroad take into account the stellar work experience and educational background when assessing an applicant’s merit, his/her GMAT score is also taken into consideration for the Executive MBA program admissions. The admissions committee for the Executive MBA program is looking for professionals who are fully prepared for the academic demands of the program. Your GMAT score is an indication of your interest and ability to succeed in the Executive MBA program. Apart from a strong education background and work experience, a high GMAT score will boost your chances of studying an Executive MBA program abroad or in India. For more information, talk to one of our expert Executive MBA program admissions consultants now. Getting an MBA overseas from a reputed institution is a solid investment for your future. It is a sure-shot way to help advance your career with good paying jobs in a highly competitive job market. There has been a shift from finance and consulting which used to be the hot sectors for MBA graduates in the past to jobs in operations, marketing and analytics today. Companies are increasingly filling in marketing and technology positions with employees who have MBAs. An increasing number of MBA graduates are gravitating towards the technology and products & services industry according to the B-School Alumni Employment Report Alumni Perspectives Survey of 2018. The sky is the limit for an MBA graduate. There is a lot that you can do with your versatile and valuable MBA degree. It can take you in any direction that you want based on your interests, career goals, and aspirations. 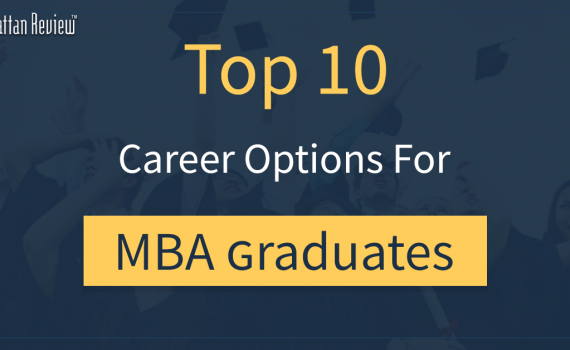 Let’s take a look at the top ten career paths and job opportunities that you can explore after getting your MBA degree. If you are a “jack of all trades,” this is the job for you. You will be working under a big umbrella of diverse responsibilities to help companies reach their business goals. Your job will significantly vary depending on the company and the role of the CEO. Typically, you will be overseeing the daily business operations, coordination between various departments, policy creation, budgeting, hiring, marketing, and negotiating contracts. You will need to show a great deal of flexibility and multitasking for this role. You will need to have the ability to work with all kinds of people, strong quantitative skills, ability to initiate and implement major projects, have a basic understanding of the supply chain. You will need to focus on improving the existing processes and studying logistics. Marketing & Sales is a promising field for MBA graduates. As the Marketing Manager, you will oversee the planning and execution of the strategic marketing plan to help companies grow and increase revenue. You will identify and maintain the company’s competitive advantage. You will research and evaluate customer demand, market trends, launch marketing campaigns, analyze the performance of the campaigns to make improvements, develop pricing strategies, manage budgets, identify new opportunities, expand into new markets, create more brand awareness, get new clients, and bring in sales. If you are great with closing deals and have leadership skills, you should consider the job of a Sales Manager. As the Sales Manager, you will set sales goals, evaluate market and identify ways to meet consumer demands, and boost sales. You will create new sales promotions and develop training programs. When you are in the sales and marketing field, having a solid background in business studies is critical for developing effective growth strategies. The MBA program is perfect for you. There is a massive demand for Analytics roles and jobs in Big Data. Big Data is a relatively new field with a high scope. As an Analytics manager, you will collect data relevant to your field, and utilize information to improve business practices and the company’s bottom line. You will analyze financial and market trends, issues and figure out the best solutions. You need to have strong leadership, technical, business, risk management, and problem-solving skills for this role. If you have a sharp financial aptitude, you should consider this field. You could be a Financial Manager Investment Banker, Venture Capitalist, or Financial Advisor. As a financial manager, you oversee accounts and transactions, help companies create financial policies and budgets and meet financial goals. As a financial advisor, you work with clients to help them make the right financial decisions. The financial advisor was listed as the fourth best job in business by U.S. News & World Report. As an Investment Banker, you provide sound investment advice to help companies raise profits by determining its financial health and developing strategies and financial models. You help companies invest and grow their capital with smart purchasing of debt and equity. As Venture Capitalist, you provide technical advice to companies about which startup to invest. This role might apply to products from any industry. But in MBA jobs, it is dominated by the technology sector. A natural progression for techies after their MBA to move into managerial position in top tech companies as it calls for a combination of technical and managerial skills. As an IT director, you develop and implement the strategy for your company’s IT department. You ensure the optimal utilization of the company’s technical resources and its effectiveness in achieving all the business targets. This job is ideal if you are looking for a flexible career path with high earning potential. As a Management Consultant, you are the corporate problem solver. You know the company inside-out, provide focused direction, and help solve their current business challenges to improve efficiency and profit. You work closely with the C-Suite level (Chief operations officers, Chief executive officers, and Chief financial officers). If you have excellent people skills, this is one field you should consider this job. As Human Resource managers, you are indispensable as you manage the most important resource of all: people. You should have strong management, analytical, communication, interpersonal and presentation skills. You understand the value that human performance brings to the business’ results. There is immense scope in the rapidly transforming healthcare industry where the focus is on providing quality care and lowering costs. As Health Services Manager, you plan, direct, coordinate and direct health and medical services of the entire facility or a specific department. You have the critical responsibility of organizing, leading, and coordinating patient care operations. You need an MBA degree with a concentration in health services management and finance. If you are socially responsible and keen to join the nonprofit sector, you should consider fundraising. As a fundraiser, you will leverage your financial expertise to help support organizations that provide valuable services around the globe. You can also work as a volunteer with a nonprofit organization while studying for an MBA. Nearly 80% of the people globally pursue an MBA with the hope of becoming an entrepreneur according to latest studies. Entrepreneurship is a popular career option among MBA grads. The freedom to start your dream business venture or continue the legacy of an existing business and take it to newer heights is attractive to many young, bright minds. Getting an MBA abroad helps you prepare for a career with increased earning potential and career advancement opportunities in your industry of choice — finance, technology, healthcare, nonprofit, technology, or any other field that require specialized business expertise. Aristotle rightly said, “Pleasure in the job puts perfection in work”. We have listed some possible career options for you after your MBA. 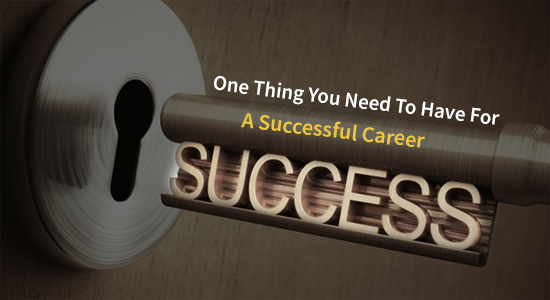 It is time for you to introspect what your strengths, career aspirations and goals are. Only when your passion meets its purpose, any work will be a thing of joy that lasts forever. Success follows automatically goes without saying. Want more information? Talk to our career counselors to learn how Manhattan Review can help you about getting an MBA overseas that fits your career goals in your field of choice. During the festive season of Dasara and Diwali, Manhattan Review (MR) has conducted several campaigns for the benefit of our students. Prizes, huge discounts on our services, Gifts, and lucky coupons etc. At MR, the celebrations are never-ending. With the oncoming New Year and Pongal festival, you could expect many more events and campaigns that will benefit you. Drop into your center and enquire. 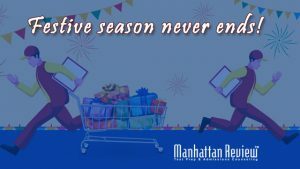 Of course, you can be in touch by visiting our website www.manhattanreviewindia.com for the latest information and upcoming events, in addition to loads of content to help you study abroad. Troy University, Alabama’s Public International University has conducted Spot Admission session in our Dilsukhnagar center on 29th October. The event was a big success with some students getting admission for Spring intake and much more ready to join Troy for Fall 2018 intake. Best of all, two of our students got 50% tuition fee waiver and application fee waiver based on their academic profile and scores. Hearty Congratulations to Aparajitha and Pavani! For more details about the event and how to participate in the same, please visit/contact any of our Jayanagar or Malleswaram centers in Bangalore immediately. Many international students were exploited in workplaces and their visas were rescinded automatically by the DIBP, Government of Australia. Recently, the Fair Work Ombudsman (FWO) has introduced new and key initiatives to safeguard the interests of international students in Australia. Key amongst the initiatives announced was an arrangement between FWO and visa-agency DIBP to no longer automatically cancel a student’s visa if they have violated its terms during an instance of workplace exploitation. A common method of exploitation has been to coerce a student into working over the 40-hours per fortnight permitted under a study visa and then threaten to report them to DIBP if they do not accept lower wages or longer hours, preventing many students from reporting exploitation. This initiative comes after research commissioned by FWO which found many international students were not aware of their workplace rights, with some reporting they were subjected to “intimidation by their employers, who threatened to deport or “blacklist” them for future work if they complained”. Now that this sort of ‘exploitation’ is stopped, international students can breathe easy and look forward to studying in Australia with more enthusiasm. Manhattan Review provides FREE admission services to students for their application and admission process in Australian universities. Please contact any of our centers for more information and admission processing. 1) Admission services to United Kingdom (UK) – Our admission services to are FREE for students. We will be happy to assist you with a selection of right program and suitable universities as per your requirement. Admission will be confirmed within a week from applying. All our services are very fast, quite efficient and student-friendly. You know what to do if you want to study in the UK. Right? Just meet us. 2) Immigration Service to Canada and Australia – We have lined up a team of experts to provide immigration services to Canada and Australia for Permanent Residence (PR). With several years of experience and success with the total PR processing, our team will make sure that those who wish to become permanent residents of Canada or Australia will get all the information, guidelines and assistance to make their work hassle-free and result-oriented. Call and talk to our counselors. They will provide you with the next step of your process to land in your dream country for Permanent Residence. How to manage GMAT Preparation while busy with work schedules? Make an applicable planning that would be easy to follow. Pick out your weaknesses and spare more time on them. Take the help of your friends or colleagues. Come early to office and finish off certain portions of the GMAT curricula (could be one or two hours). Similarly, you may stay late and do the same. A library or a coffee shop, if not your friends or the privacy of your room are the best places to put to test your time management skills to work. Even when you are on your treadmill you can use your ipod to improve your English pronunciation or spend useful time listening to correct grammatical conversation and accelerated vocabulary. At lunch breaks or at dinner time: finish the meal early. Use the the precious little time that you gain for GMAT preparation. When you are travelling in a train or subway to office, you can add several hours of study for the examination. Avoid checking emails and playing your favorite video game. The same time can be used to accommodate Practice Questions. Sacrifice Television time or News hour. Master question types with time alloted separately (early mornings or late nights as per personal preferences) for Practice Drills and Mock Tests. Keep in mind a big score. Word towards it positively. Look for a weekend study group. Brainstorming sessions add big value to GMAT test preparation. Do not try unknown or unsuccessful strategies. Don’t look at your past setbacks. Look ahead for future desires. The most important thing to be taken care of is time spacing in MBA interview. A student must make useful time calculation during the interview. Personal preparations make it easy to perform to optimum levels. Moreover, it is best to follow your own yardstick as your know your strengths and weaknesses. However, time management is the deciding factor. Keep a regular touch on questions most expected. Be genuine in the interviews. It is easy to identify if you are reciting few sections from your essay. Keep the flow going while speaking. Practice more with the trainers and friends by involving them more in mock interviews. Be clear about what you want to say. Once you strike a good conversation with the interviewers they will make the process more comfortable. 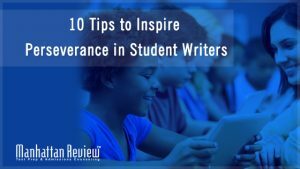 Only when a student gets to relate to the question the interview will be successful. Wait for the interviewer to complete the question. Stick to the point. So, answer accordingly than moving ahead. Do not waver into unrelated topics. Therefore, listen carefully before answering. Musicians are a good example. Once they strike the right note the sweetness of the music become more melodious. So is the case with an MBA interview. Quick responses give you the edge in creating a friendly atmosphere. This adds to your confidence. This sets the ball rolling for a successful interview process. Honest response to the questions are right steps that build a good relationship with the interviewers. Always keep in mind that a B-school is conducting an interview. It is due to the fact that you are found eligible for getting enrolled. There may be a topic on which the interviewer will keep asking repeated questions. Be calm and answer without any irritation. Do not give into their trap. The admission will be cancelled. It is just a strategy to see how well your reaction could be. Short answers are the best option. The interviewer may appear friendly. Do not get carried away and start talking at length. Use examples with explanations. As the interview progresses open a window of conversation that keeps the atmosphere alive. This helps you to show your strong skill of communication. But, don’t drag it much. Stick to one topic related to the interview. The references you provide should be used wisely. Communicate openly to draw attention of your interviewer about special interests and activities in the university or B-school. The questions you ask should be intelligent. Don’t ask questions on information available on the school or college websites. The interview could be around 45 minutes. Therefore, engage the interviewer within that time space. Make strong and clear statements. If you are not able to understand a question, you have the freedom to ask the question again. As a professional you must be well aware to come early for the interview. It helps to relax. The dress sense should be neat. It should be business class. Make mention of a certain part in the interview that impressed you most. After the interview is over don’t forget to say thank you.